It was a stellar year for HIFF Screenwriters Lab alumnae at the Sundance Film Festival! Three projects that came through the Lab in recent years—all from female writer/directors—took home coveted awards at Saturday night’s ceremony, including directing, screenwriting and acting awards. In addition, another of our past Lab participants was recognized for her sophomore feature. Christina Choe (2014 HIFF Screenwriters Lab) took home the Waldo Salt Screenwriting Award: U.S. Dramatic for her film NANCY (USA). Blurring lines between fact and fiction, Nancy becomes increasingly convinced she was kidnapped as a child. When she meets a couple whose daughter went missing thirty years ago, reasonable doubts give way to willful belief–and the power of emotion threatens to overcome all rationality. Cast: Andrea Riseborough, J. Smith-Cameron, Steve Buscemi, Ann Dowd, John Leguizamo. Director and screenwriter: Christina Choe. 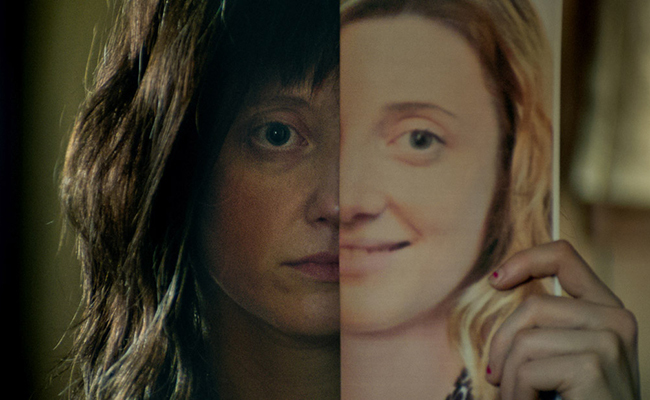 Producers: Amy Lo, Michelle Cameron, Andrea Riseborough. Ísold Uggadóttir (2015 HIFF Screenwriters Lab) won the Directing Award: World Cinema Dramatic for her film AND BREATHE NORMALLY (Iceland, Sweden, Belgium). At the edge of Iceland’s Reykjanes peninsula, two women’s lives will intersect–for a brief moment–while trapped in circumstances unforeseen. 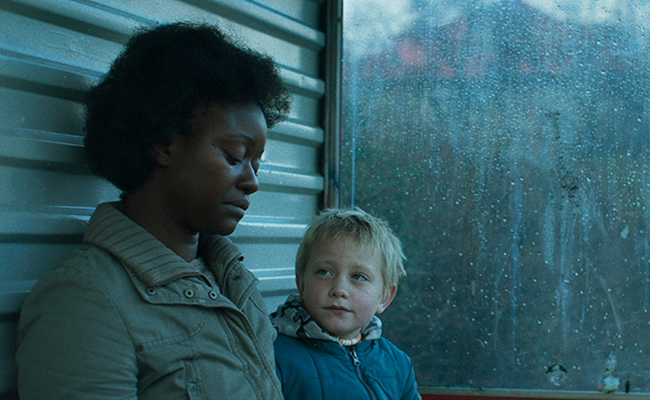 Between a struggling Icelandic mother and an asylum seeker from Guinea-Bissau, a delicate bond will form as both strategize to get their lives back on track. Cast: Kristín Thóra Haraldsdóttir, Babetida Sadjo, Patrik Nökkvi Pétursson. Director and screenwriter: Ísold Uggadóttir. Producers: Skúli Malmquist, Diana Elbaum, Annika Hellström, Lilja Ósk Snorradóttir, Inga Lind Karlsdóttir. 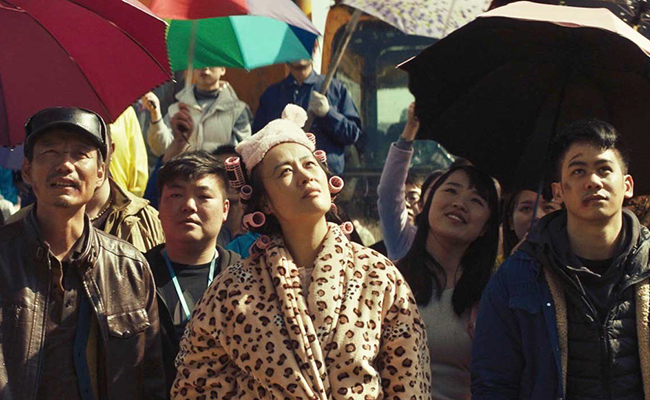 A World Cinema Dramatic Special Jury Award for Ensemble Acting was presented to DEAD PIGS (China), written and directed by Cathy Yan (2016 HIFF Screenwriters Lab). A bumbling pig farmer, a feisty salon owner, a sensitive busboy, an expat architect and a disenchanted rich girl converge and collide as thousands of dead pigs float down the river towards a rapidly-modernizing Shanghai, China. Based on true events. Cast: Vivian Wu, Haoyu Yang, Mason Lee, Meng Li, David Rysdahl. Director and screenwriter: Cathy Yan. Producers: Clarissa Zhang, Jane Zheng, Zhangke Jia, Mick Aniceto, Amy Aniceto. And Sara Colangelo, who brought her first feature LITTLE ACCIDENTS to the HIFF Screenwriters Lab in 2013, won the Directing Award: U.S. Dramatic for her second feature THE KINDERGARTEN TEACHER. When a Staten Island kindergarten teacher discovers what may be a gifted five year-old student in her class, she becomes fascinated and obsessed with the child– spiraling downward on a dangerous and desperate path in order to nurture his talent. Cast: Maggie Gyllenhaal, Parker Sevak, Rosa Salazar, Anna Barynishikov, Michael Chernus, Gael Garcia Bernal. Director and screenwriter: Sara Colangelo. Producers: Talia Kleinhendler, Osnat Handelsman-Keren, Maggie Gyllenhaal, Celine Rattray, Trudie Styler. As evidenced by the Melissa Mathison Fund, established in 2016, HIFF is committed to amplifying the voices of women in film. Learn more!